Fomites are any surface or object that can become contaminated with viral, fungal, or bacterial pathogens and that can then spread those pathogen on to others. Important because researchers (see Facing Ubiquitous Viruses: When Hand Washing Is Not Enough) have determined that when in public, we touch our mouth/nose mucosa at least 3.6 times an hour, and common objects 3.3 times an hour. Potentially self-inoculating ourselves from contaminated fomites several times each day. Common items include the turnstile at the subway, the touch screen on your bank’s ATM, the door handle to your office's microwave, the change the cashier gives you at the checkout lane, and the handle of your shopping cart . . . the list is endless. As are the variety of pathogens looking for an easy hook up. 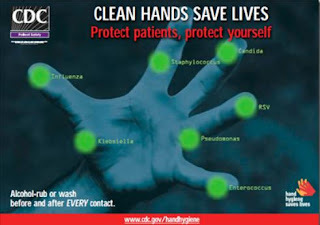 Norovirus, MRSA, RSV, Clostridium difficile, Candida albicans, MERS-CoV, SARS, and of course . . .influenza. Despite decades of research, which has yielded us a pretty good understanding of how the influenza virus works on the cellular level, many of the more basic questions - such as: How long, and under what conditions, does the virus remain viable in the environment - are still not fully understood. In March of 2013, in With Influenza Virus Particles, Size Matters we looked at research from the University of Maryland that found Large droplets - long believed the the primary delivery vessel of influenza viruses - actually contained far fewer viral copies than did fine (≤5 µm) aerosol particles. Another study conducted at Wake Forest School of Medicine, which we looked at in Influenza Transmission, PPEs & `Super Emitters’, questioned the current wisdom on how flu is transmitted. Researchers found that patients with influenza can emit small, influenza virus-containing particles into the surrounding air during routine patient care, potentially exposing health care providers to influenza virus up to 6 feet away from infected patients. Five patients (19 percent) in study were "super-emitters" who emitted up to 32 times more virus than others. Patients who emit a higher concentration of influenza virus also reported greater severity of illness. The findings suggest that more research on how influenza is transmitted is needed and that current influenza infection control recommendations for health providers may need to be reevaluated. The assumption is that smaller particles remain aloft longer, and travel farther, than large droplets. But both are capable of not only infecting those breathing the air, but also contaminating surfaces where they land. While their viability in the air is typically measured in minutes, on the right surfaces and under the right environmental factors (temperature, humidity, UVs), their infectious lifespan can run hours or even days. How long can influenza viruses live on hard surfaces (such as books or doorknobs)? Studies have shown that human influenza viruses generally can survive on surfaces between 2 and 8 hours. Other studies (see Study: Longevity Of Viruses On PPEs) have found even longer persistence of H1N1, with some surfaces remaining infectious for more than 24 hours. All of which brings us to a new study, published last month by researchers from the CDC in Applied and Environmental Microbiology, which extends the viability of A(H1N1) on stainless steel surfaces out to as long as a week. As annual influenza epidemics continue to cause significant morbidity and economic burden, an understanding of viral persistence and transmission is critical for public health officials and healthcare workers to better protect patients and their family members from infection. The infectivity and persistence of two influenza A (H1N1) strains (A/New Caledonia/20/1999 and A/Brisbane/59/2007) were evaluated on stainless steel (SS) surfaces using three different surfaces matrices (2% fetal bovine serum, 5 mg/mL mucin, and viral medium) at varying absolute humidity conditions (4.1 x 105 mPa, 6.5 x 105 mPa, 7.1 x 105 mPa, 11.4 x 105 mPa, 11.2 x 105 mPa, and 17.9 x 105 mPa) for up to seven days. Influenza virus was deposited onto SS coupons (7.07 cm2) and recovered by agitation and sonicating in viral medium. Viral persistence was quantified using a tissue culture based enzyme-linked immunosorbent assay (ELISA) to determine the median tissue culture infective dose (TCID50) of infectious virus per coupon. Overall, both strains of influenza A virus remained infectious on SS coupons with an approximate 2 log10 loss over seven days. Factors that influenced viral persistence included absolute humidity, strain/absolute humidity interaction, and time (P ≤ 0.01). Further studies into hand transfer of influenza A virus from fomites and the impact of inanimate surface contamination in transmission should be investigated as this study demonstrates prolonged persistence on non-porous surfaces. Importance: The study tested the ability of two influenza A H1N1 strains to persist and remain infectious on stainless steel surfaces in varying environmental conditions. It is demonstrated that influenza A H1N1 virus can persist and remain infectious on stainless steel surfaces for 7 days. 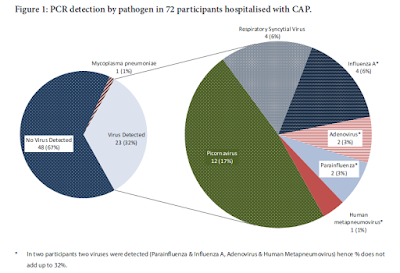 This raises the question of what role contaminated surfaces play in the transmission of influenza A virus and that additional studies should be conducted to assess this. A good reminder of the importance of carrying (and using) that little bottle of alcohol hand sanitizer, and of keeping your hands away from your face (see Fomite to Fingers To Face: A Triple Play Combination) particularly when you are in public.